Most of us have clutter in our homes, especially busy moms. Not only is clutter an annoyance, it could actually be detrimental to your budget. 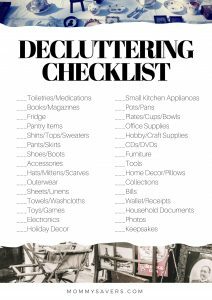 Here are a few reasons how and why it’s worth the effort to declutter your home to truly organize your life. Sometimes it’s easier to buy a replacement item than to actually locate it in your home. These could be things like that baking soda box shoved behind something in your pantry, the pair of black tights you only wear once a year, or the half-used box of Dramamine you bought when you child was carsick last time. Or, you get to the checkout counter and can’t find the gift card you thought you had in your wallet. All those situations could have been avoided had you had less clutter in your life and been a little more organized. When you know where your stuff is, you can avoid buying more of it. Your clutter is costly in other ways. You may be holding onto things too long, causing them to lose their resale value. Clothing goes out of style, collections lose value. Or, you may just have stuff in your home you could turn into cash that could be used in other ways more aligned with your values. That dresser you never use could be sold and you could put the money towards paying down a credit card bill. Or, all those clothes you never wear could be consigned and the proceeds could go towards your daughter’s dance classes. You may even spend money to store things you simply don’t need in the form of a storage unit, or even a bigger house. Don’t hang onto things too long. Instead, get into the habit of purging on a regular basis. When you misplace certain things, there is a financial cost associated with their loss. If you lose bills, you could be assessed late fees. If you lose library books, you are charged their replacement value. Or, you may not be able to find a receipt for something you want to return, causing you to miss out on the window of time in which to return it. Having a place for them and knowing exactly where they are when you need them can help you avoid unnecessary costs. All that clutter takes time to clean, sort, and manage. If you it takes you ten minutes to find that pink sweater because it’s lost among a sea of other things, you’re losing precious time. That’s time you could have spent doing other things, focusing on other priorities. Also, think about how much easier it is to clean a bathroom counter that doesn’t have toothpaste tubes, containers, makeup bags and contact lens solutions on top of it. Having a home free of surface clutter takes less time to clean and is more enjoyable in which to live. All that external clutter can take an inner toll. Instead of thinking about what you’re getting rid of, think of what you’ll gain. When you get rid of things you don’t need, you gain a sense of freedom from clutter. You create a home in which you can relax, one that feels lighter – literally and figuratively. You’ll also be able to clean much more effortlessly, since you’ll have fewer things to work around. Instead of having a home full of things that don’t mean much and take time to maintain, you’ll be left with things you truly love and appreciate. If getting rid of things that still have some use left in them, or things that you paid good money for stresses you out, you’re not alone. A lot of people feel anxiety when decluttering. They think about what could have been, spending mistakes they’ve made, or wonder what will happen if they get rid of something only to find a use or need for it it in the future. You can’t think that way and effectively declutter. Instead, flip that mental switch. When you adopt an abundance mindset, it means you truly believe that you will always have what you need, or will be able to afford to replace what you gave away. When you have fewer things to manage, and focus on only living with what you truly need, you leave mental space for new things, people and experiences to enter. You start to value experiences over things. Your hobbies will start to reflect that lifestyle in a new, healthier way. You spend less time shopping, more time working out. You start less time cleaning up after your kids, and start spending more time with your kids. 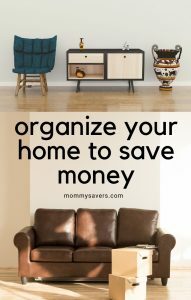 You can’t organize until you rid your home of clutter. Otherwise, you’ll just end up in the same situation over and over again without making real progress. If you are organizing things that aren’t useful to you or you truly don’t need, you’re wasting your own precious time. The process of decluttering can take weeks, sometimes even months, but when done right the first time, is worth it. In the Marie Kondo book, The Life Changing Magic of Tidying Up, the author suggests organizing by category instead of by room. I completely agree with this method, simply because some categories are easier to start with than others. Things like expired over the counter medications in the bathroom and spices in the kitchen are easy to toss without much thought put towards it. Other things, like memorabilia from when you kids were young, is much harder to part with. By starting with categories that require little decision-making, you build momentum easily which can be used to fuel the decluttering process. 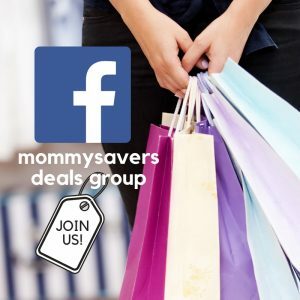 I surveyed the women in my KonMari for Real Life Group on Facebook to see which items and categories they had left to attack. I put them onto a sheet to make it into a game. Here’s how it works: First, join the KonMari for Real Life Group. Next, print off the sheet below (or download this KonMari Bingo .pdf). Choose which blocks you need to do most. Cross them off after you complete them, and post pics in the group. The first one with five in a row will win! Some people find that if they have a purpose for their clutter, it’s easier to get rid of. For example, clothing will go to a women’s shelter. Toys will get donated to a friend’s daycare. Many animal rescue shelters are in need of towels and blankets. If you have a personal connection with where you unused items are going, you’re more likely to be happy to donate them. Keep in mind that when you donate to a non-profit organization, your donation is tax-deductible as well. Make sure you ask for a receipt to use when filing your taxes. Dress for Success – This organization supports financial independence for women getting back into the workforce. It’s a great place to send your gently used professional clothing. Look for a donation spot near you. Habitat for Humanity – You’ve likely heard of this global nonprofit housing organization already. Their vision is to create affordable housing for families in communities all across the United States. You can donate household items to their Habitat ReStore outlets. Becca’s Closet – This organization was created to supply high school girls prom dresses who could not otherwise afford them. Learn how to donate HERE. Angel Gowns – You can donate your wedding dress to Angel Gowns, an organization formed to create gowns for infants who have passed away. Learn more about Angel Gowns HERE. 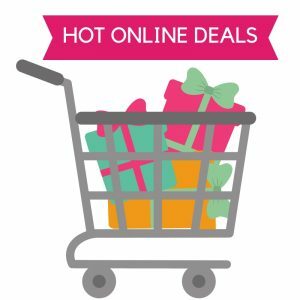 Dreaming Zebra – Have extra craft and art supplies that you no longer need? Your donation is tax deductible and supports access to art and music supplies for underprivileged young artists. Learn more HERE.